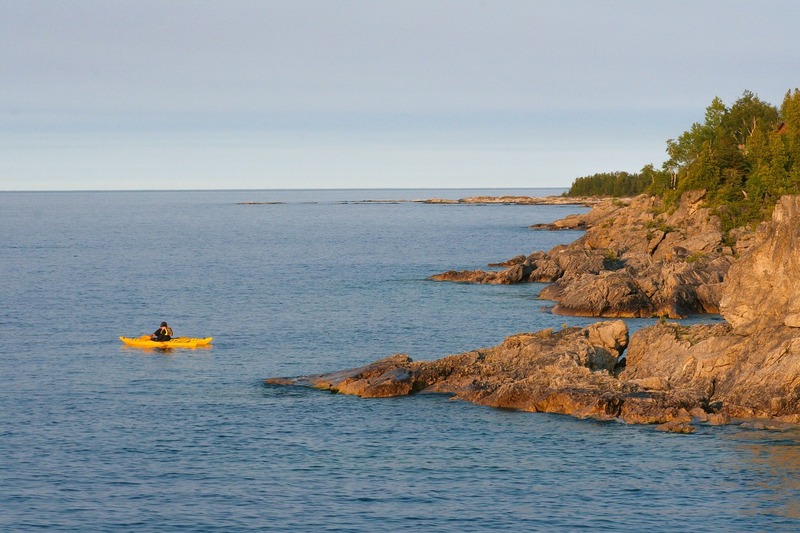 Fall cruises to the East Coast are a popular option to truly experience the beauty of Canada. 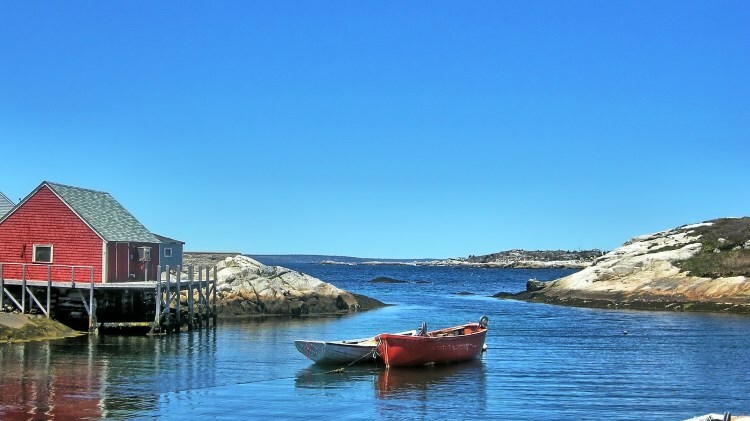 Beautiful cities like Halifax or quaint fishing villages give you a glimpse into life in a small Canadian town. 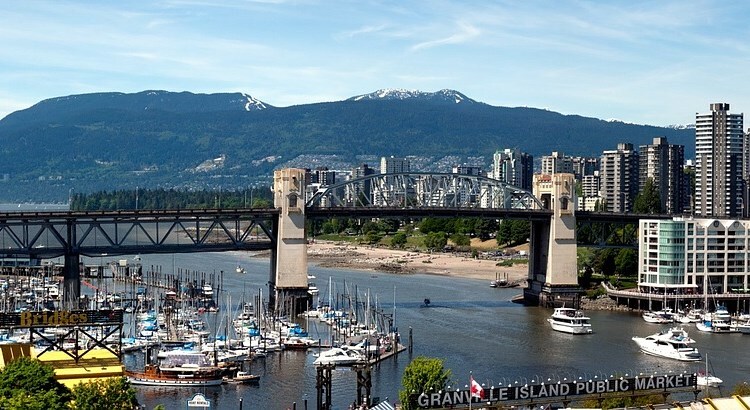 On the other side of the country, Vancouver offers a big city feel with a mild climate, beautiful natural scenery, laidback lifestyle mountains, lakes and the Pacific coastline. 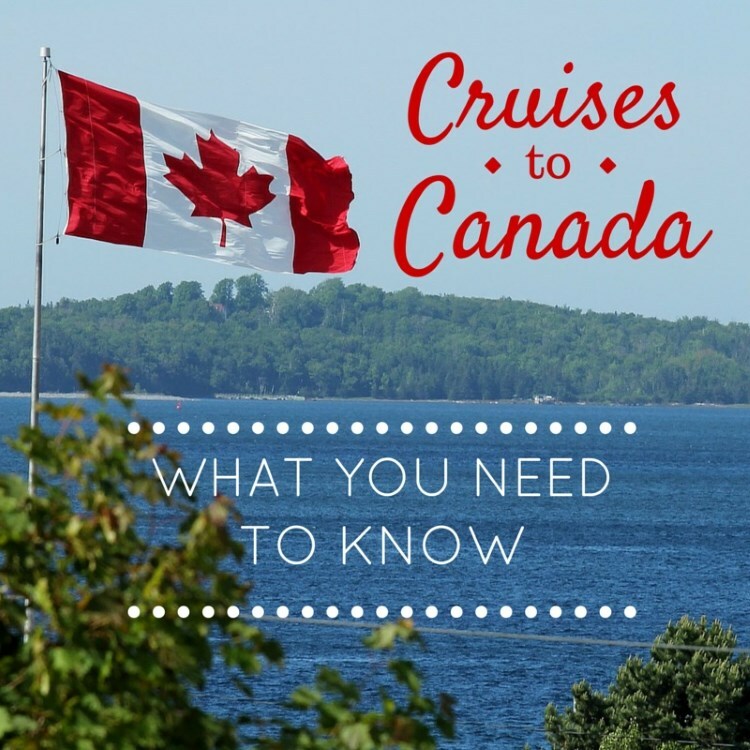 Which Cruise Lines Cruise to Canada? A number of the large cruise lines offer scheduled cruises to Canada, most notably in the fall. 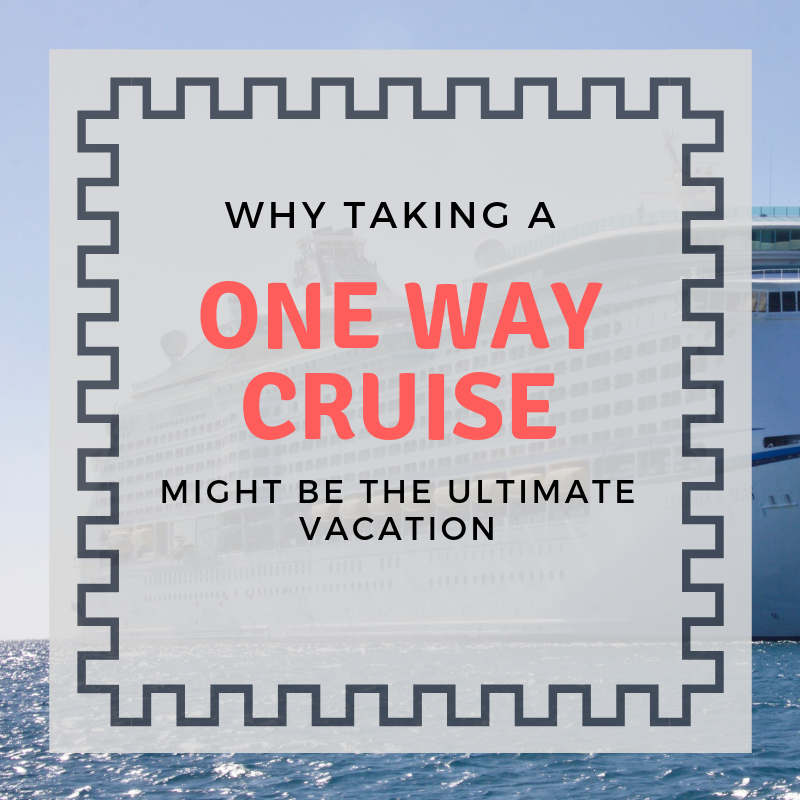 Norwegian, Holland America, Carnival, Royal Caribbean, Celebrity and Princess Cruises as well as luxury lines like Oceania, Regent Seven Seas and Crystal all offer cruises to Canada. You can easily depart from New York or Boston and head north visiting stops in Maine and then into Canada, with stops often in Halifax (Nova Scotia) and Saint John (New Brunswick). Many also depart from Montreal or Quebec City before heading eastward. Although a large portion of the U.S. population lives within a days drive to a Canadian border crossing, many have not ventured to the north to check out what Canada has to offer. As a Canadian myself, I obviously have a bias toward loving my own country and find it easy to promote the country in which I live. 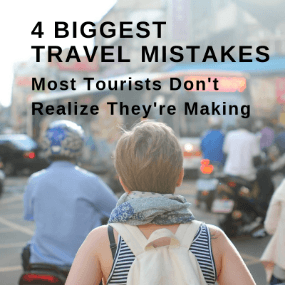 No matter what Canadian cruise destinations you choose, we hope this Canadian crash course will make your trip memorable and avoid any possible problems or misunderstandings. Just like the United States, Canada is a large country with many distinct regions. 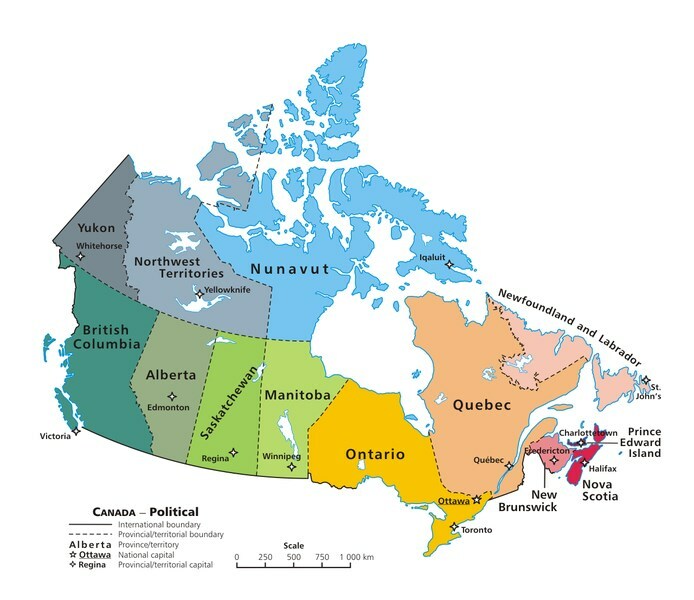 Canada is divided into 10 Provinces and 3 Territories. Think of Canadian provinces like States in the U.S. Understanding Canadian geography will give you a better understanding of just how vast the country is. As an example, if you started on the west coast in Vancouver, British Columbia and drove straight through to the tip of the east coast, you will drive almost 7000 KMs (4300 miles.) Once you get the end of the road near Sydney, Nova Scotia, you aren’t quite at the end yet. You would then need to catch a ferry to get over to the province furthest to the east – Newfoundland, which is an island Province. Canada’s population is about 35 million people, most of which live in cities like Toronto, Montreal, Ottawa, Calgary, Edmonton, London, Winnipeg or Vancouver. This handy list of Canadian cities will give you a reference for cities throughout Canada. Canada uses the Metric system, not the Imperial system like the United States. This means that we use Kilometres, not Miles, Centimetres, not Inches, Kilograms, not Pounds and Litres, not Gallons. United States, Burma and Liberia are the only countries in the world to continue to use the Imperial system so if you travel outside the United States, it’s likely handy to learn the conversions or download an app to your smartphone to handle this. As a side note – Canadians use British English when we spell, so when you see words such as “centre” or “neighbour,” they are spelled correctly. Canada’s weather can vary greatly across the country with summertime temperatures ranging from the 70’s to the 90’s in degrees Fahrenheit. It’s NOT cold in Canada all year round, unless you happen to visit areas far north near the North Pole. For example, the most northern city in Canada is Iqaluit (Nunavut) where the summer temperature is usually in the 40’s or 50’s degrees Fahrenheit. Keep in mind, the distance from Toronto to Iqaluit is 2300 kms (1400 miles) which is similar to the distance between Boston and Fort Lauderdale. While it’s cold in the far north, only a very small portion of Canada’s population lives in the far North. The majority of Canadians live in areas where the weather would be more like Seattle, Detroit or Boston as an example. Winter may surprise you as well. While much of Canada has snow on the ground between December and February, not every community in Canada has snow all winter. Many of us in Southern Ontario for example (near Detroit) have experienced more than one green Christmas in the past 2 decades, while our friends in Boston or New York (just an 8 hour drive away) had plenty of snow at the same time. Don’t be surprised when you visit a store to see 10 to 15% tax on top of the purchase price. You read that right: 15% Sales Tax in some locations. Depending on the province or territory, the tax rates change slightly as we have both a Provincial Tax and a Federal Tax. The Federal Tax rate in Canada is 5% and each individual provinces tacks on an additional percentage for their cut, which ranges from 0% in Alberta, Northwest Territories and Nunavut to 10% in Saskatchewan. 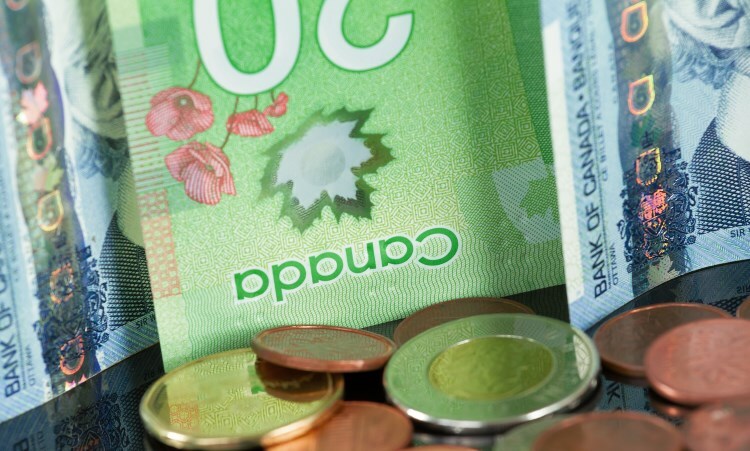 Canada uses the Canadian Dollar as our national currency. Currently $1 US Dollar will buy you approximately $1.30 Canadian. You will find that most goods have a similar cost to the United States, so American vacationers get a great value by visiting Canada right now. 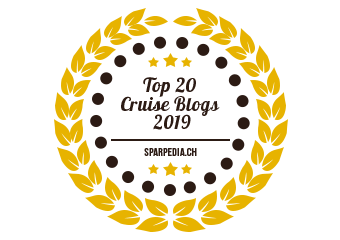 This currency converter will help you plan your trip. Our paper-based money as of 2014 is made of a plastic-paper meant to stop counterfeiting. We have denominations of $100’s, $50’s, $20’s, $10’s & $5’s. Beyond that, we have coins for everything else. $2 coins are called Toonies, , $1 coins are called Loonies (not because we’re crazy, but because the bird on the coin is a kind of duck called a “Loon”.) We also have quarters, nickels and dimes. Thankfully as of 2014 we no longer have pennies. All purchases are rounded to the nearest 5 cents, unless you’re paying with a credit card. If you are planning to travel to Canada, get some Canadian currency before you leave the United States. Some merchants in Cruise port cities may accept U.S Dollars however your exchange rate may not be as favourable and you will likely get Canadian money for change. 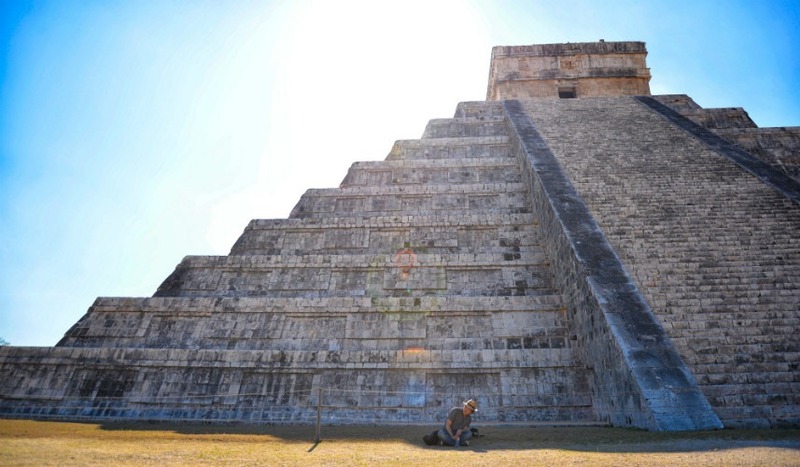 Travelling with a Visa or Mastercard is the easiest option as both are widely accepted in Canada. Debit cards are a bit different. In Canada, our national debit system is called “Interac” which we have used since the late 1980’s. Basically, for Canadians with Canadian bank accounts, we have debit cards that immediately deduct the amount from our chequing account when used at an ATM for a cash withdrawal or purchase at a store POS system. Most American ATM cards will work in Canada, but it might be worthwhile to carry some Canadian cash and a major credit card just to be safe. The Canadian drinking age 19 years of age in most provinces and 18 in Quebec! If you’re 18, 19 or 20, Canada is the place to go if you want to drink legally. Be aware though – Each Province and Territory has different laws surrounding where alcohol can be sold. 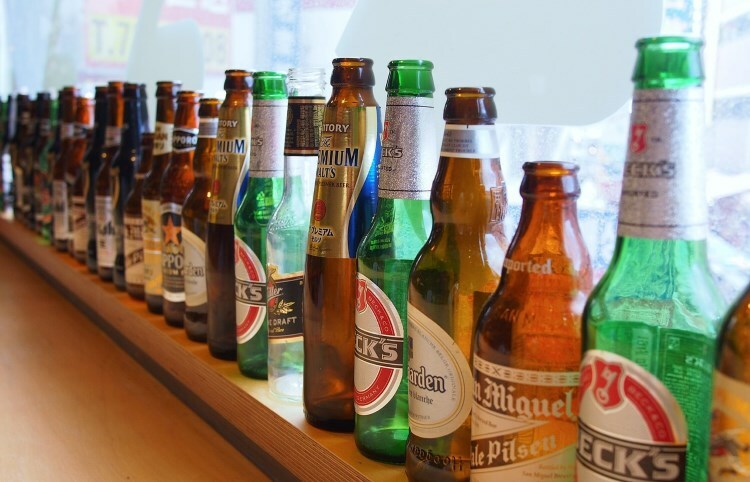 In many provinces, liquor is sold through Government owned and operated stores which means that local convenience stores may not be able to supply you with your beer and wine. Generally speaking, we have many of the same laws as the United States. To go through them one by one would be difficult. If you think it’s illegal, it probably is and if you’re unsure, you might want to Google it before you do it. Seat belts while driving are required, no texting while driving is allowed, no drinking and driving is allowed and watch your speed on the highway (remember to look at the KM/hr gauge.) If you rent a car, you will find driving in Canada no different than in the United States. 1) Road signs will be in French (though many have international symbols). 1) In Montreal, you cannot turn right on a red light. You also can’t cut through private property to avoid stopping at a red light (ie cutting through a corner gas station to turn right). 2) When driving on a highway (freeway) you can’t pass another car on the right. 3) Left lanes are for passing only. Don’t be the slow driver holding up traffic behind you – you will get a ticket. 4) If you live in New York State or Maine, any Quebec driving infractions (i.e. demerit points) are transferable. Smoking is not permitted in public buildings, restaurants, public transit, shopping centres, etc. One other thing you might want to know – We’re just not into guns. This isn’t meant to be a political discussion about the right to carry a weapon, just be aware that civilians cannot carry guns at any time (other than hunting) and our gun-related crime is quite low. If you try to enter Canada with a gun (especially a handgun) you’re going to have a very hard time getting into the country! A United States Passport is required to enter into Canada. At one point several years ago, a driver’s license was accepted but in recent years it’s become mandatory to carry a passport. If you’re not an American Citizen, check Passport requirements with your home country before trying to enter Canada. 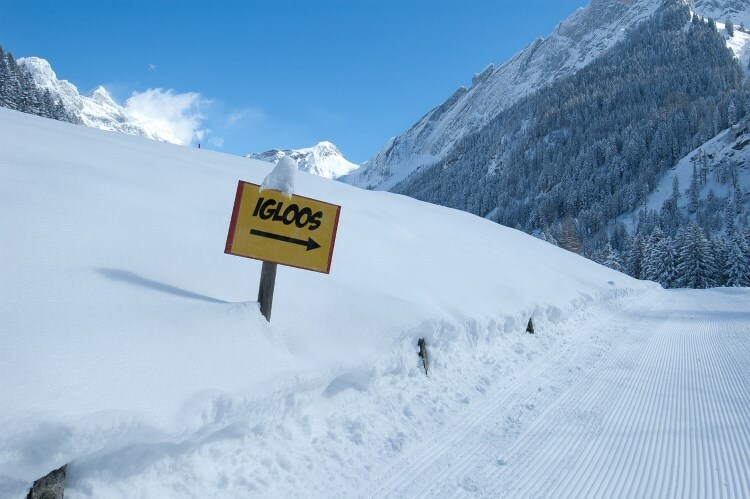 While a Grade 6 Geography lesson might have displayed pictures of igloo’s as the main type of housing in Canada, Canadians do not live in these anymore – and haven’t for many many years. Even if they did, we couldn’t live in them year-round because we don’t have snow during the summer anywhere, other than the tops of the Rocky mountains. Our houses look almost identical to those found throughout the United States. 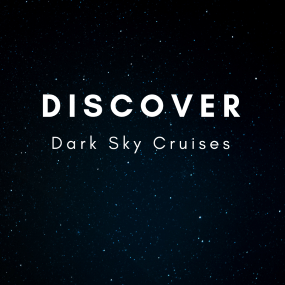 If you went on a cruise hoping to see something totally different, you’re out of luck. Let’s talk about sports. Canada = Hockey. It’s that simple. We have 7 Canadian NHL teams and we’re REALLY into supporting those teams. Besides the NHL teams, nearly every community in Canada, no matter how small, has a local hockey rink where Saturdays and Sundays are spent watching minor hockey. Baseball isn’t as popular in Canada as Hockey, but we do have one MLB team – the Toronto Blue Jays. If you’re on a cruise, you’re not going to make it into Toronto. 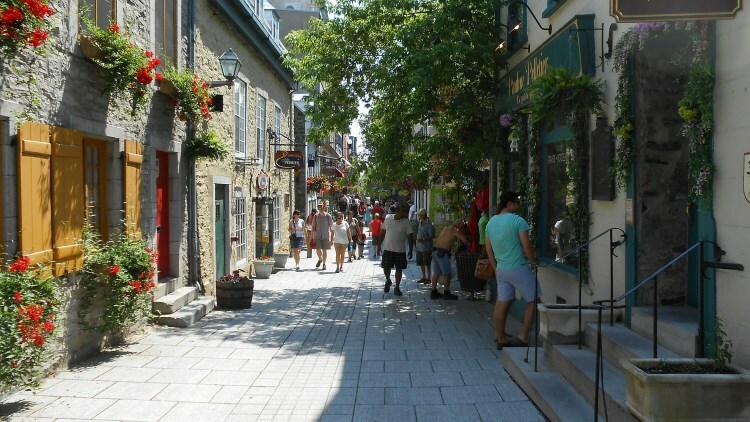 Even if you stop in Quebec City, it’s still an 8 hour drive one-way to get to Toronto. On a side note, if you ever do return to Canada, Toronto is a wonderful city to check out! Football is a semi-popular sport in Canada, but not as large as it is in the United States. Our national football league is called the CFL (Canadian Football League) and it consists of 9 teams. The games are fairly well attended, but the players don’t earn millions of dollars like NFL players. Generalizing all Canadians as the similar to one another is much like suggesting that all Americans are the same. Since the country is so large, there’s great diversity in people across the country. People in Newfoundland are quite different from people in Toronto, complete with their own dialect of English that is distinct to Newfoundland. Think of the differences between people in Texas and people in New Jersey. Regional dialect, food, culture, pace of life; Almost anything you can think of that defines people from different regions of the United States applies across Canada. In Quebec, most people speak French as the official language of that Province is French. The East Coast of Canada is known to be very friendly to visitors and the West Coast of Canada is known for it’s Seattle-like lifestyle. Canada is a multi-cultural nation, with almost every nation in the world represented so our food diversity goes far and wide. Here are a few examples of food and beverages that differ between Canada and the United States. Iced Tea – If you ask for Iced Tea in Canada, you most likely will get sweetened tea. We don’t usually serve cold, unsweetened tea like in many places around the United States. Ketchup Chips – These wonderful chips are popular with Canadians. Think Paprika and salt on chips. They leave your hands bright red, but they’re not for everyone. Butter Tarts – Somewhat like a pecan pie, in a smaller single-serve pie shell, usually with raisins but sometimes pecans as well. Donair – Found in Nova Scotia – Similar to a Greek Gyro, but with a twist. The sauce is what makes it different. It’s a sweet milk-based sauce that pairs well with the flavour of the meat, Tomato and Onion. Poutine – French fries with gravy and cheese curds. 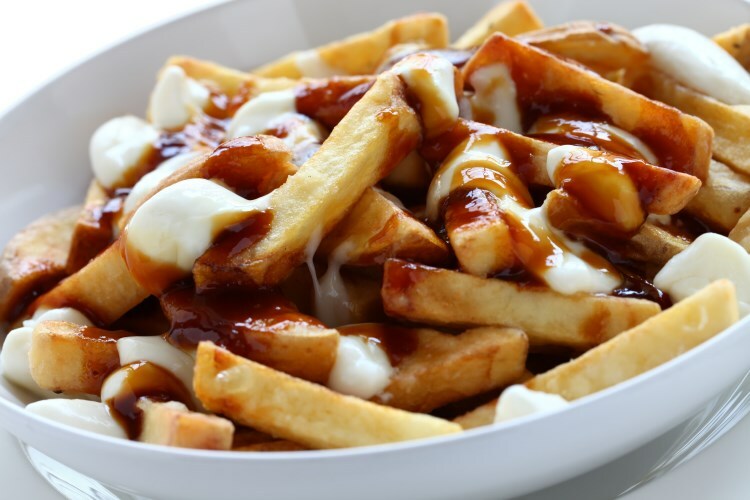 These can vary by region, but the best Poutine is going to be found in Quebec. To sum up this entire post, let me state that Canada is friendly, rich in history, and is naturally beautiful from shore to shore and season to season. 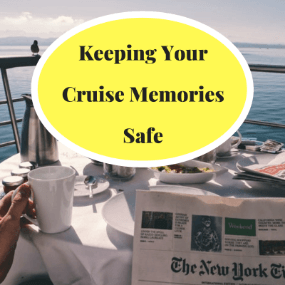 We would love to have you visit us on your next cruise. Welcome to Canada! *Disclaimer: This piece was not meant to offend our American friends in any way if you don’t find this information helpful. As I’m sure my American friends enjoy some light-hearted joking at our expense we do the same here. We have found that even though we’re so close geographically, many Americans don’t know much about us so this piece was meant to educate and inform. We’re a polite bunch so if this offended you let me say one of our favourite national phrases: I’m sorry.